Batch Print SW is a comprehensive set of utilities designed to execute repetitive tasks quickly and easily. Printing and converting batches of SolidWorks documents are some of the most popular tasks included in the program (CATIA, DWG, DXF, eDrawings, IGES, JPG, PDF, PDF 3D, STEP, STL and TIF). It features several modes to select files to work with, notably: drag and drop, loading Excel lists, or searching for files in selected folders. This application offers quick and easy printing and converting of batches of MicroStation documents; an indispensable tool to every CAD manager and MicroStation user. It can also convert batches of MicroStation documents to DWG, DXF, DGN V7 and DGN V8 file formats. Batch Plot DWG is a comprehensive set of utilities designed to execute repetitive tasks quickly and easily. 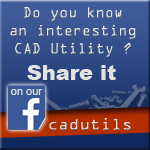 Plotting and converting batches of AutoCAD drawings are some of the most popular tasks included in the program.